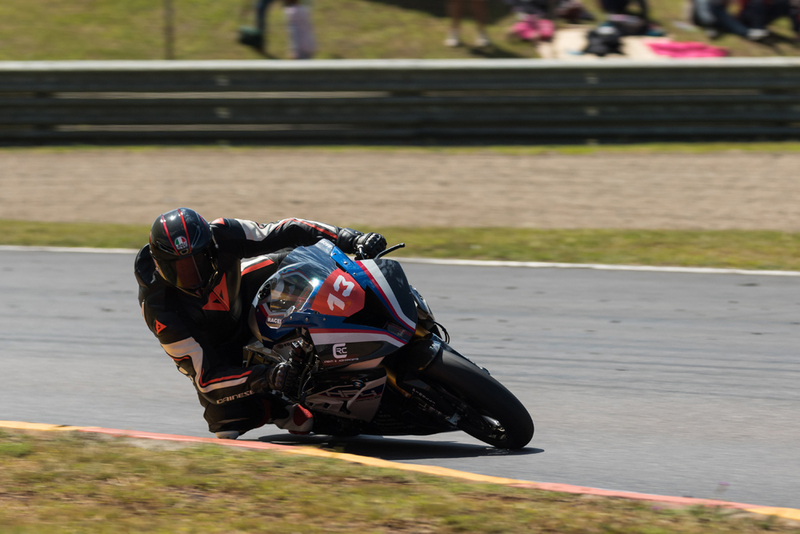 Blaze Baker, out on the King Price Xtreme Yamaha R6 normally piloted by Dino Iozzo, continued his dream start to the defence of his Supersport 600 title, adding another two wins to the two he scored in the opening round. Rain for most of Friday played havoc with the three-part qualifying session. The first drops of rain started falling about five minutes before the scheduled end of the opening stint, sending the riders, who were all out on the new Metzler dry tyres into the pits. 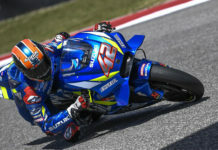 The rain did not let up for the rest of the day and, with no chance of improving their times, the riders opted not to risk damage to their bikes and did not go out in the other sessions. 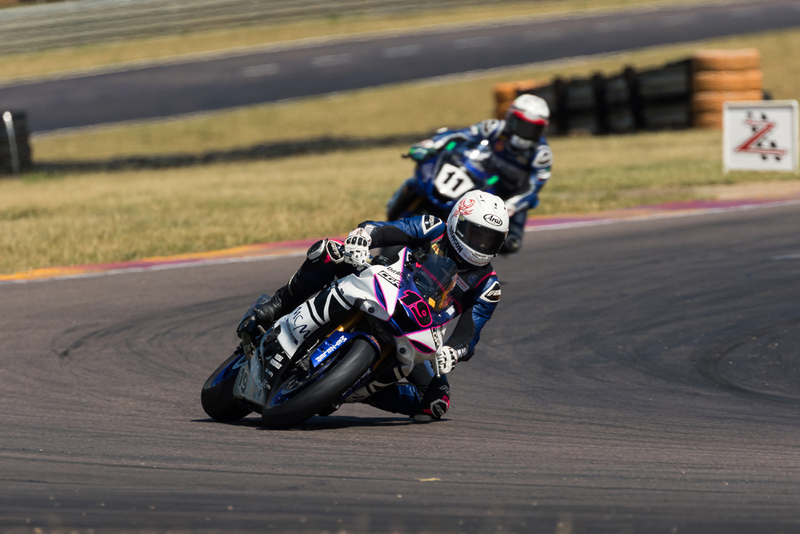 That meant the grid for Saturday’s races was determined by the times in the first session which saw Clint Seller (King Price Xtreme Yamaha R1) take pole position with Isaacs and Nicolas Grobler (Adrenalin Powersport/Meanwraps Yamaha R1) alongside him on the front row. 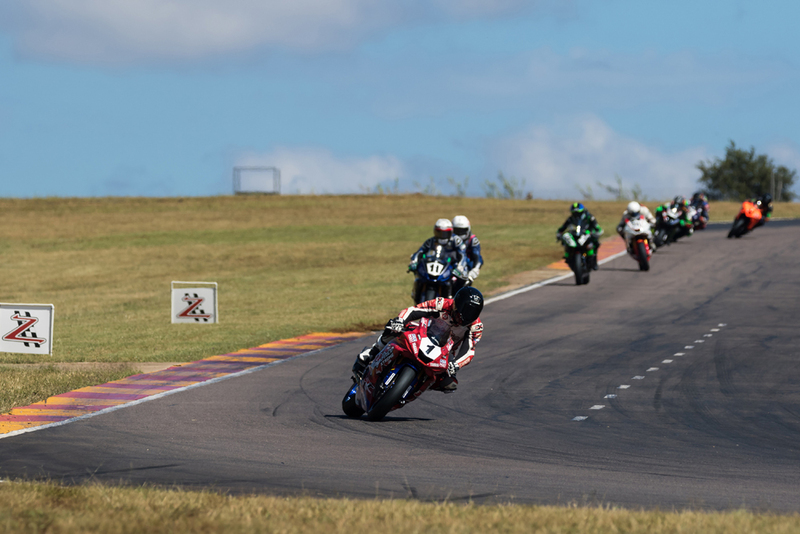 Garrick Vlok (Coring Cutting and Sealing Yamaha R1) headed the second row from Byron Bester (Hi-Tech Racing Yamaha R1) and Morne Geldenhuis (Race Craft Motorcycles Yamaha R1). 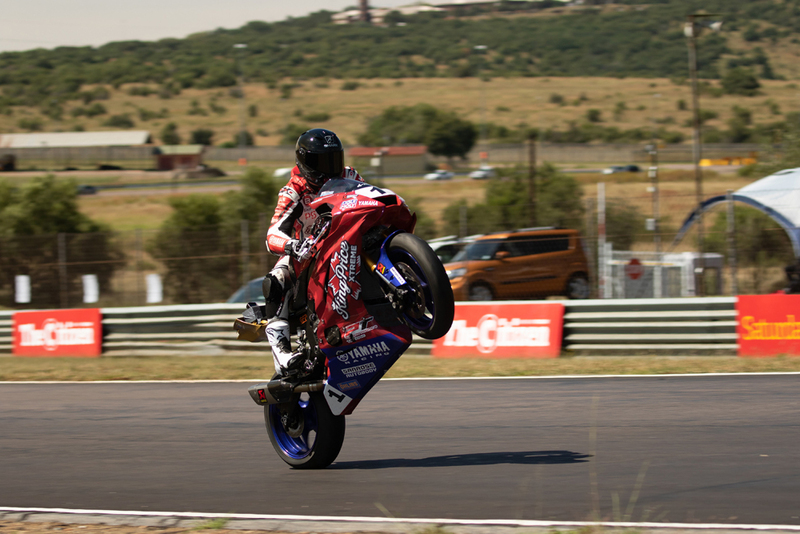 David McFadden (RPM Centre/Stunt SA Yamaha R1) couldn’t get to grips with the new Metzler tyres in the short session and had to settle for seventh with Allan-Jon Venter (Lekka Racing/JHB Express Suzuki GSXR 1000) and Dylan Barnard (NPL Yamaha R1) joining him on the third row. 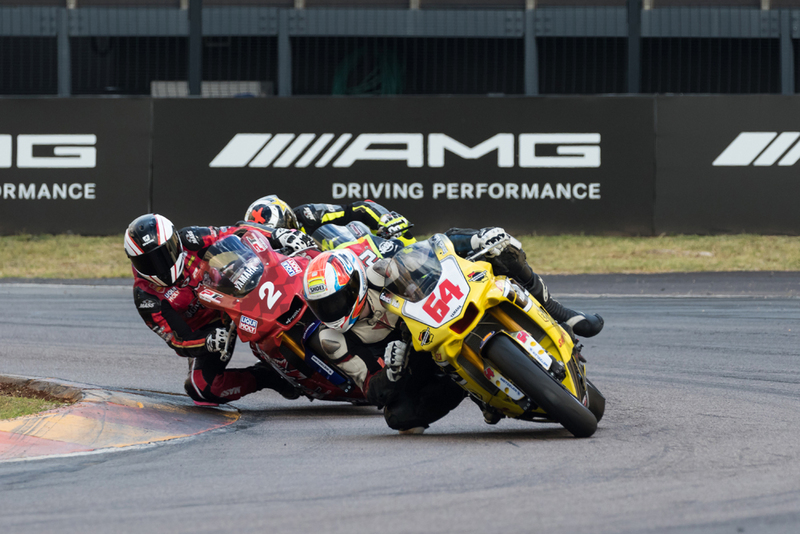 Masters competitors Harry Timmerman (Sandton Motorrad APCC BMW) and Marius Koekemoer (Sherq Solutions Ducati Panigale) occupied row four. Saturday dawned cool, but clear and the riders headed out for the morning warm-up session. Seller remained quickest ahead of Grobler and Venter with a quietly confident Isaacs in fourth. When the lights went out to signal the start of the first heat Seller was quickly into the lead but Isaacs, Grobler and Vlok were right behind him. Two laps later Isaacs moved into the lead and was never challenged on his way to a comfortable win. Behind Isaacs, Seller had to deal with the attention of Grobler and Vlok which kept him occupied until about half-distance, when he was able to open a slight gap, although he could do nothing about Isaacs in front. Grobler managed to hold off Vlok to take the final podium position with Geldenhuis ending in a slightly lonely fifth place. 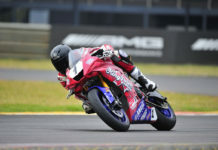 Bester was able to stay in front of McFadden when it mattered to take sixth with Venter and Barnard in eighth and ninth. Timmerman was tenth getting the better of Koekemoer in the Masters battle. In the second heat, Isaacs wasted no time getting to the front and was able to control things from there despite an electronic problem that slowed him slightly in the latter stages of the race. As was the case in the opening heat, the battle for the remaining podium positions was a three-way affair between Vlok Seller and Grobler, this time with Venter keeping a watching brief just behind them. They finished in that order with just over a second separating the four of them. Bester, Geldenhuis and McFadden were next on the road. Their three-way battle became a two-way fight when Bester crashed out with just under three laps to go. That went to McFadden when he found a way past Geldenhuis on the final lap. Barnard ended eighth ahead of the Masters pair of Timmerman and Koekemoer. Two wins gave Isaacs the silverware for the overall win with Seller and Grobler in second and third respectively. 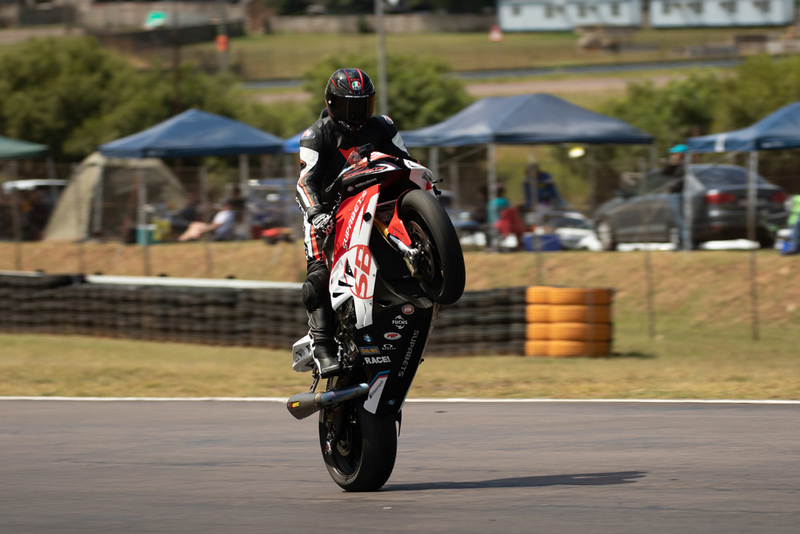 Baker took a comfortable pole position in Friday’s single session over half a second quicker than his closest rival, Kewyn Snyman (Hillbilly Racing Yamaha R6) who was just a couple of tenths quicker than Jared Schultz (ASAP World/Fields Family Cupboards Yamaha R6). 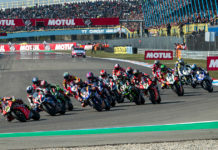 The next four on the grid were separated by just four-tenths of a second, Brandon Staffen (AJH Cooling/RPM Centre Kawasaki ZX6R) leading the way from Dian Nelson (TRD Motorcycles Yamaha R6), Taric van der Merwe (Hi-Tech Racing Yamaha R6) and Ricardo Otto (Otto Racing Team Yamaha) with Gareth Gehlig (Gareth Gehlig Racing Kawasaki ZX6) and Luca Balona (Armadillo Construction/Fibre Technologies Kawasaki ZX6R) completing the grid. In the opening heat, Baker got a great start and opened up an immediate gap, leading by over a second at the end of the first lap. He was able to control things from there, going on to take the win by just over three seconds. A slightly slow getaway by Snyman allowed Schultz through to second but Snyman soon claimed the place back. 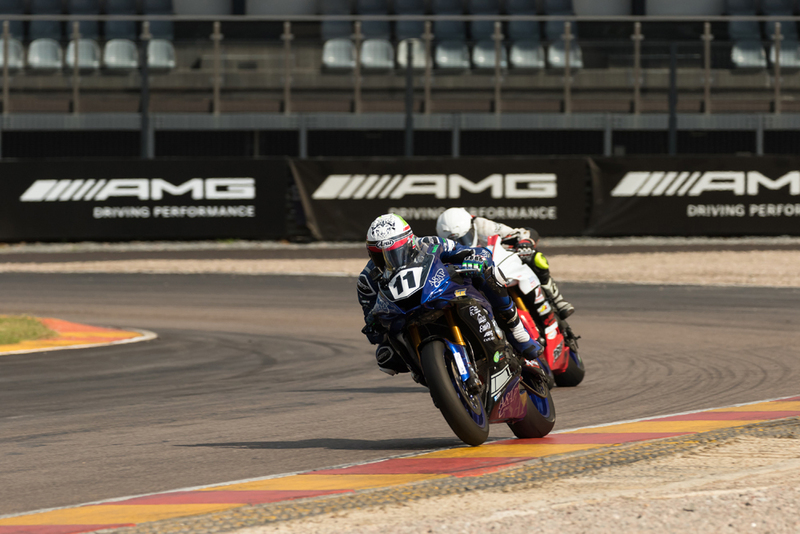 The pair were never separated by more than a couple of bike lengths throughout the 10-lap race, but Snyman was just able to keep in front and took a hard-fought second place. Behind the leading trio, Staffen and Nelson were involved in a great dice that went to Nelson when he moved up to fourth on the final lap. Gehlig and Otto spent the first half of the race locked together but once Otto got through on Gehlig, he was able to pull away to take sixth. Gehlig meanwhile, was just able to hold off Balona to claim seventh with van der Merwe coming home in ninth. The start of race two was almost a carbon copy of the first heat with Baker out front and Snyman and Schultz fighting for the remaining podium positions. This time though, they didn’t have it all their own way. Nelson worked his way up to join them and a three-way fight lasted until Snyman was able to open up a slight gap. He followed Baker over the line in second with Schultz taking third, less than a tenth ahead of Nelson. Staffen was comfortably ahead of van der Merwe in fifth while Otto had to settle for seventh after his rear shock absorber failed. Mechanical gremlins side-lined both Gehlig and Balona, Gehlig shortly after half-distance and Balona before he made it to the grid. Baker topped the overall standings on the day from Snyman and Schultz. 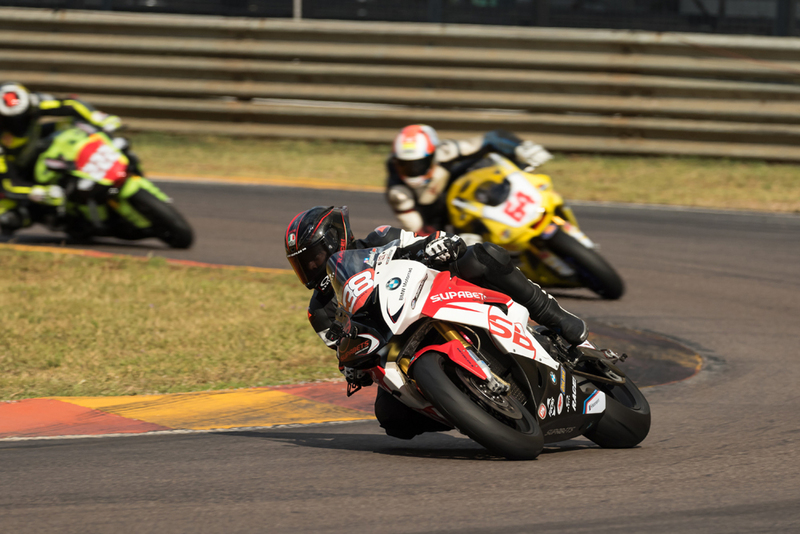 The next outing for the SA Superbike championship in association with Metzler takes place at Cape Town’s Killarney Raceway on Saturday, 11 May.